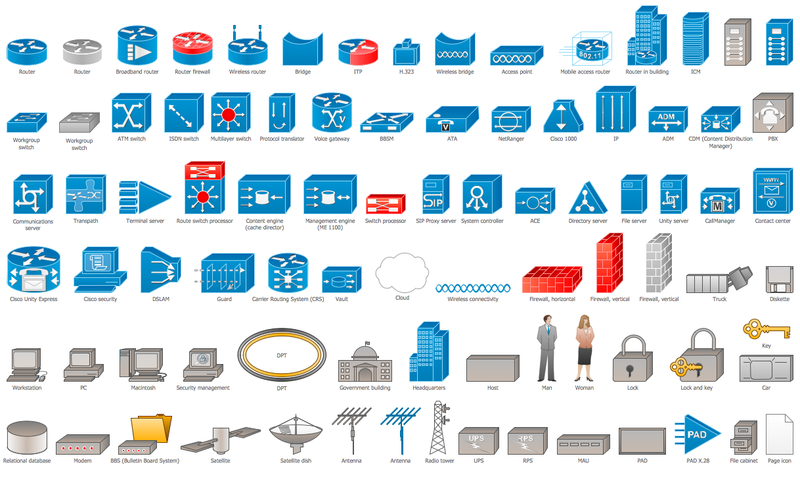 ConceptDraw DIAGRAM diagramming and vector drawing software offers the Cisco Network Diagrams Solution from the Computer and Networks Area which contains the extensive drawing tools, templates and samples, and large number of libraries with variety of predesigned vector cisco icons. The use of predesigned objects allows you develop Cisco networks and design Cisco Network Diagrams in minutes. The Cisco Network Diagrams Solution you see on this page were created in ConceptDraw DIAGRAM using the Cisco Network Diagrams Solution for ConceptDraw Solution Park. An experienced user spent 10 minutes creating every of these samples.